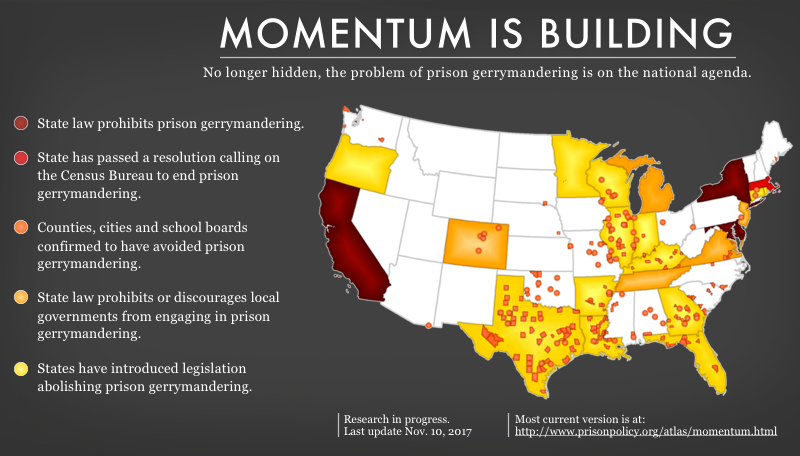 With over two million people behind bars at any given time, the United States has the highest incarceration rate of any country in the world. 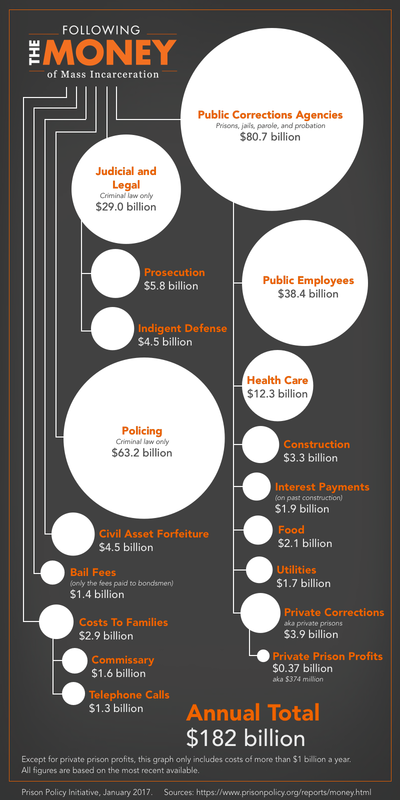 We spend about $182 billion every year — not to mention the significant social cost — to lock up nearly 1% of our adult population. 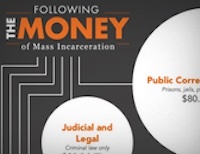 To be able to evaluate this policy choice, our communities must have access to reliable and up-to-date information about the trajectory and scope of our nation’s experiment with mass incarceration. 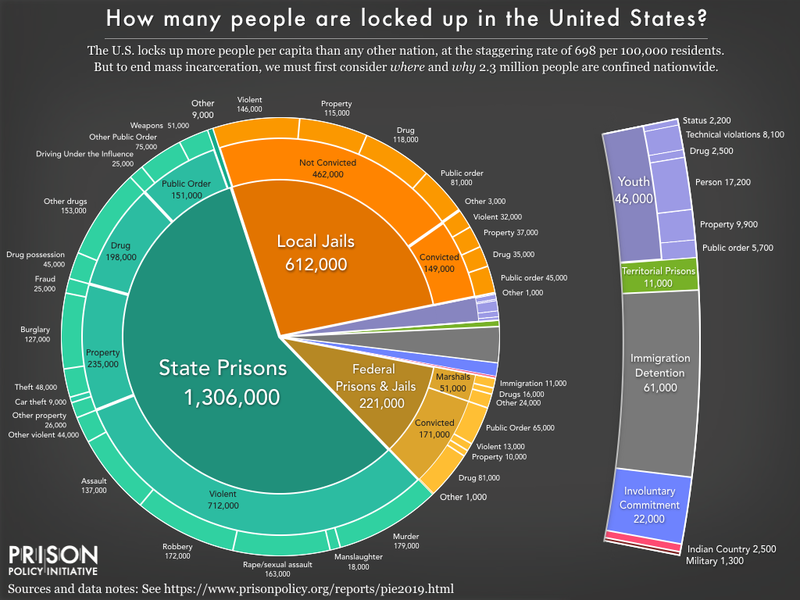 With this page, and the accompanying 50 State Incarceration Profile series, we hope bring some of the most important and under-discussed national facts into the public discourse. 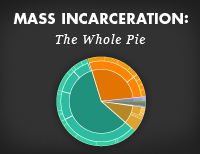 For more information: See Mass Incarceration: The Whole Pie, Women's Mass Incarceration: The Whole Pie, or Youth Confinement: The Whole Pie. See the same graph expressed as total numbers rather than rates. 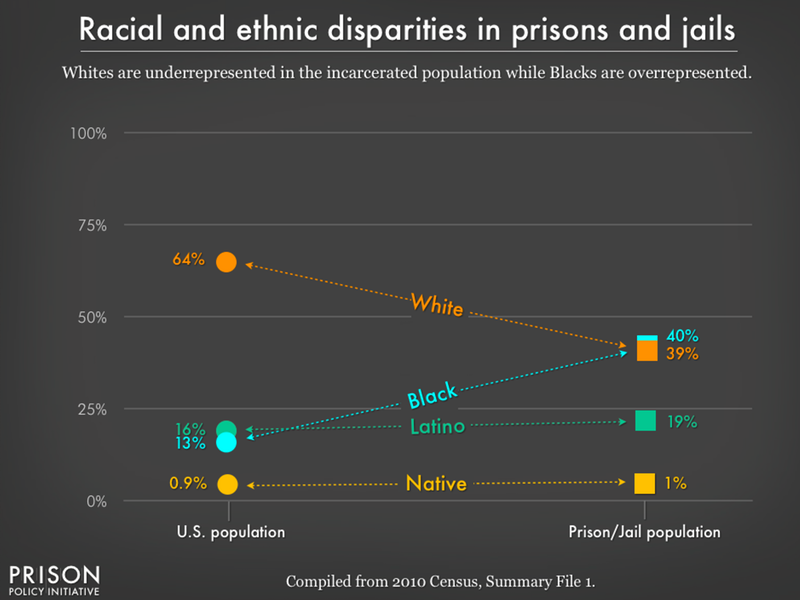 See similar graphs including: Incarceration rates per 100,000 and detailed graphs about Whites, Hispanics, Blacks, and American Indians/Native Americans in U.S. prisons and jails. 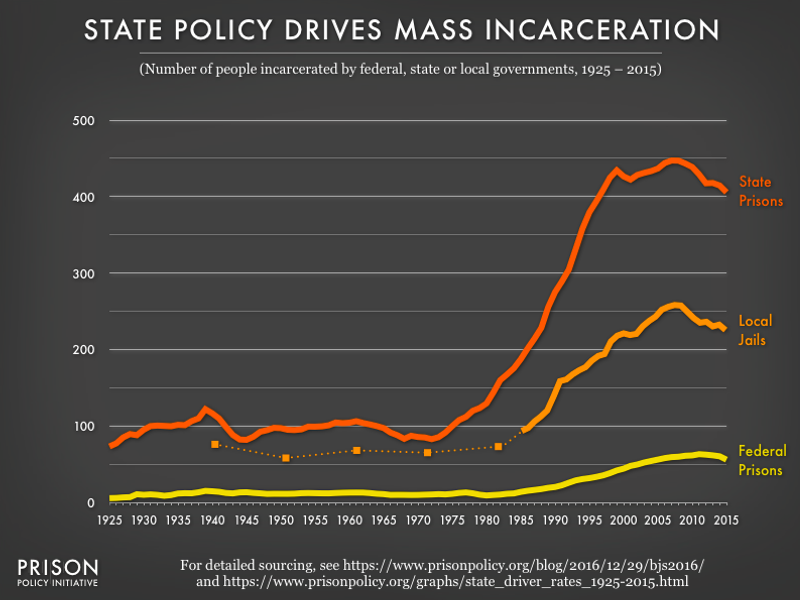 How do the incarceration rates of the U.S. states measure up in the global context?